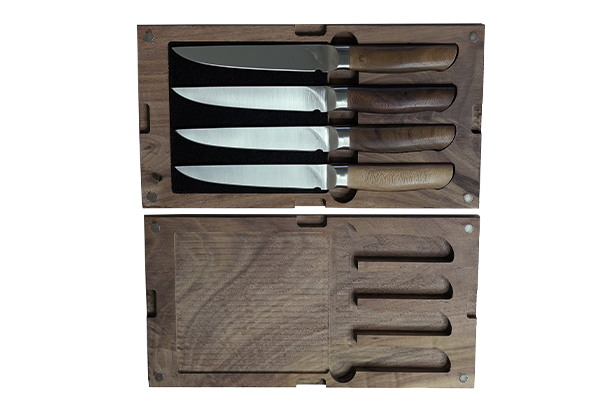 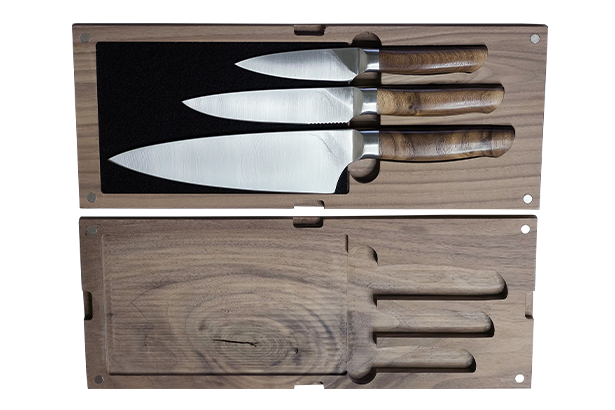 Handcrafted in Willamette Valley Oregon, Ferrum’s Reserve 9″ Scalloped Slicing Knife features a handle made from reclaimed Black Walnut contoured to fit perfectly into your hand. 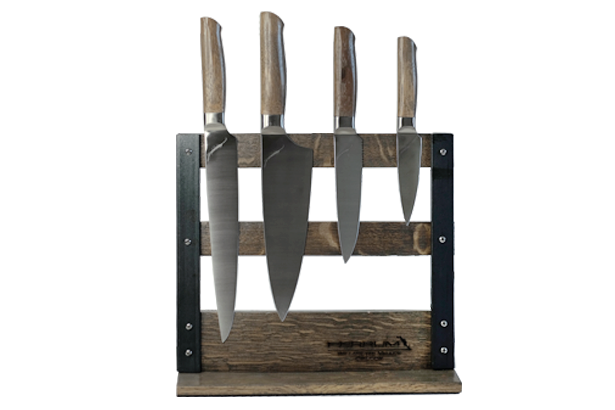 Each blade is forged from tough American steel, then hand sharpened with a wide scalloped edge designed for pull cuts. 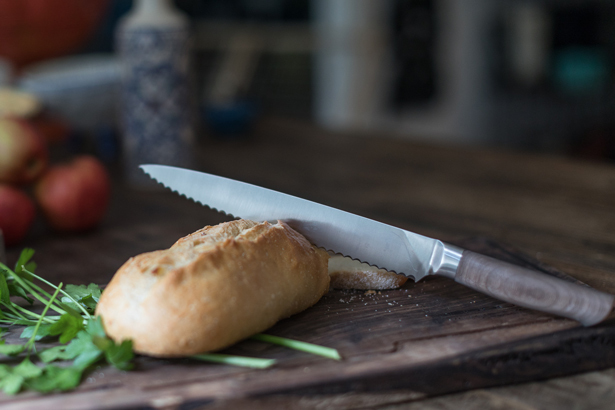 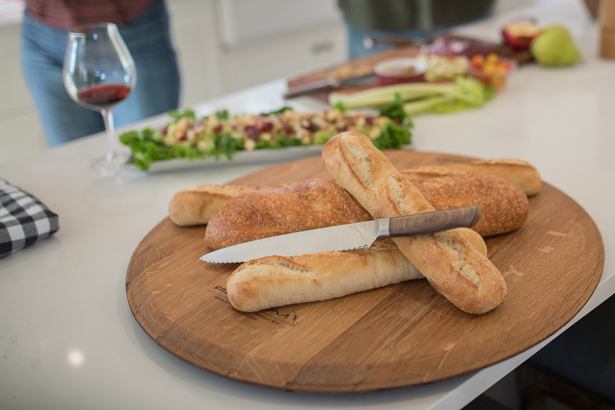 This is the best bread carving knife always slices delicate bread without smashing it. 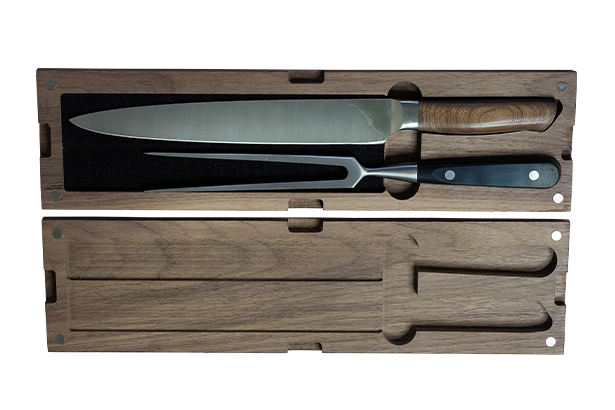 Cut slices of fresh tomato like a pro with this serrated knife.